I love playing with slime – one of my biggest tips is to teach children to keep their hands moving if they don’t want it covered in the gooey goodness. Of course, some kids DO. 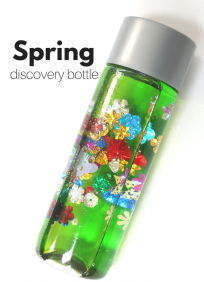 Always have tweezers available if you are digging items out of slime for kids that are not interested in squishing their fingers into the slime, this lets everyone take part and work on fine motor skills with this fun sensory material. Also, if mess is a concern pop the slime into a ziplock, and add some duck tape over the seal. The Monster Stew Slime idea below was put into a bag for my classroom a few years ago because my students were still apt to put things in their mouths and it was awesome. 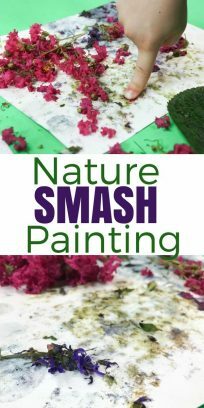 They played and squished the slime through the bag, identified and counted the bugs… there is always a way to adapt these easy slime ideas to fit YOUR classroom! 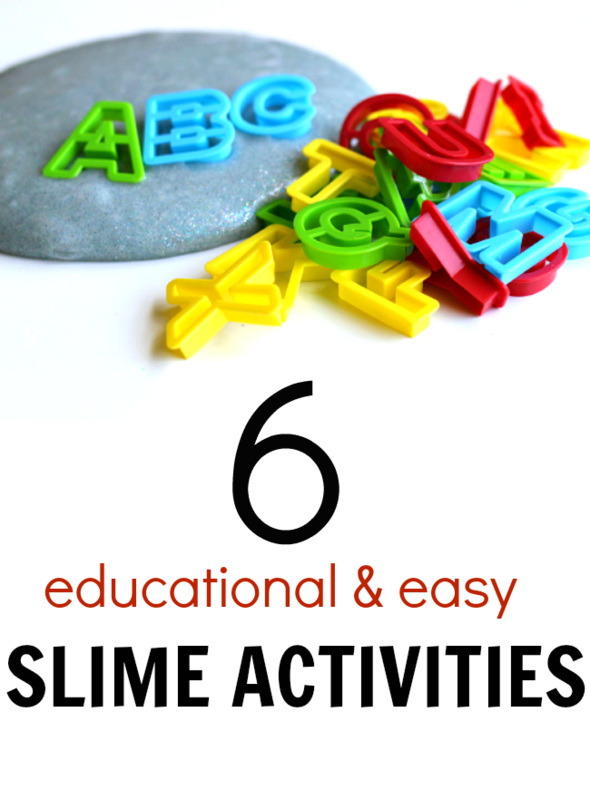 Literacy Ideas with Slime! 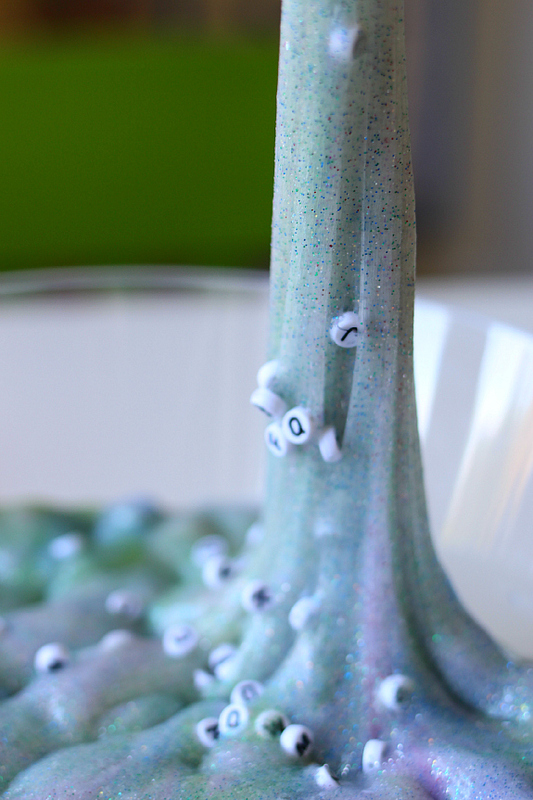 This post has wonderful ideas for how you can use slime for literacy instruction. 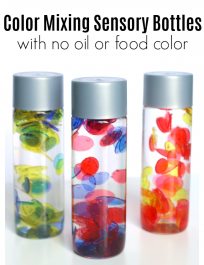 Easy to differentiate on the fly and great for parents who have kindergarteners and first graders who need some extra work but are looking for playful ways to accomplish that! Looking for these cookie cutters? Find them here! 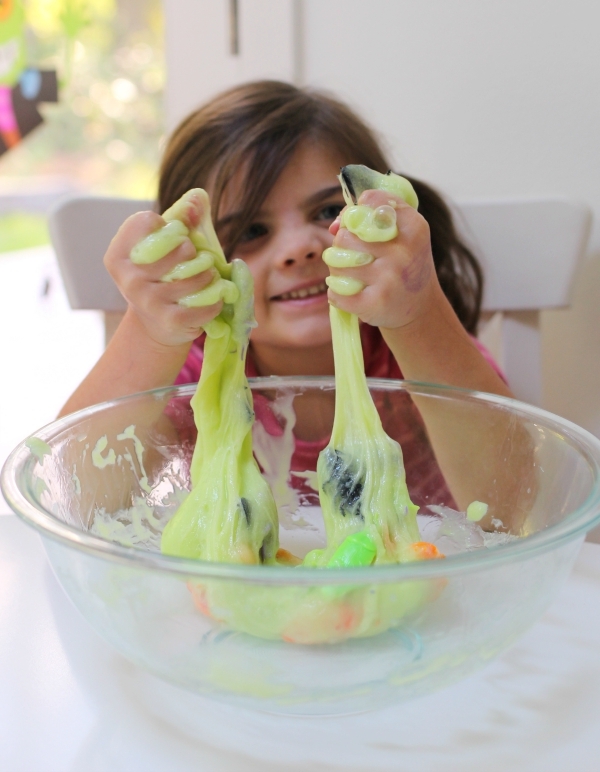 Monster Stew Slime can be completely open to explore, or if you are trying to build counting skills, color recognition or sorting, you can easily incorporate those skills with this activity. 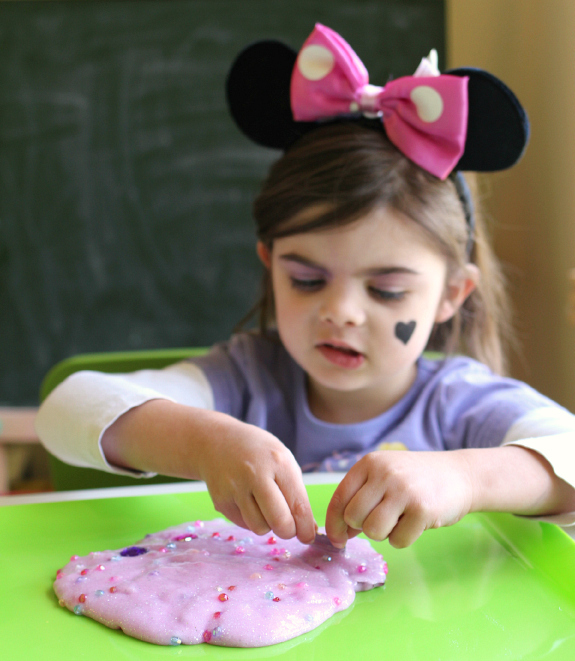 Princess Slime can be easily changed to Pirate treasure slime if you want to avoid the princess theme, either way digging these little gems out of the slime offers children’s fingers and hands the opportunity to work on fine motor development as well as hand-eye coordination. This doesn’t seem all that important, but it’s vital for more than just handwriting. Children need to develop these skills and muscle groups to tie their shoes, button shirts, and put straws into juice boxes to name just a few. This Glow In The Dark Slime is a must for older kids who think they are too cool for preschool activities. All kids can benefit from sensory activities, and I find my school-age children benefit from them most because as we explore we chat. Talking no matter how old you are is educational in more than just one way. This is your chance as a teacher or parent to connect, learn what motivates and excites this child, listen to the worries that may be shared, and as you speak insert new vocabulary. 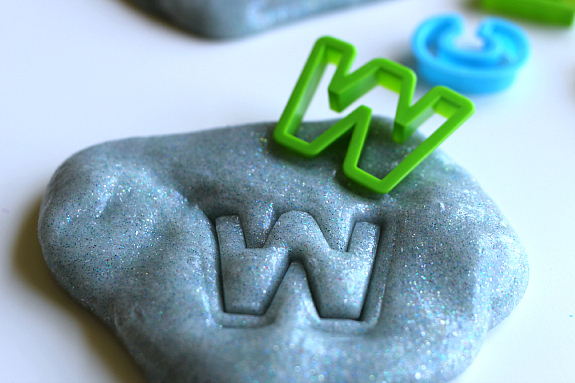 Alphabet Letter Match with Slime is a fun way of combining sensory and literacy. If you find number beads, you could turn it into a math activity with a few simple changes too. Like with the Princess Slime children are working on fine motor skills but with this activity, they are adding in letter recognition. What I love about using activities like this in a classroom is that children come to the activity if they are interested in slime and/or if they are interested in letters. Also, they can stay and match every letter if they are at that stage of literacy development, or swing by squish the slime and simply be exposed to some letters as they do. The activity fits different kids in different ways. Need these letter beads? Here is a link! Slime Monsters get kids telling stories! 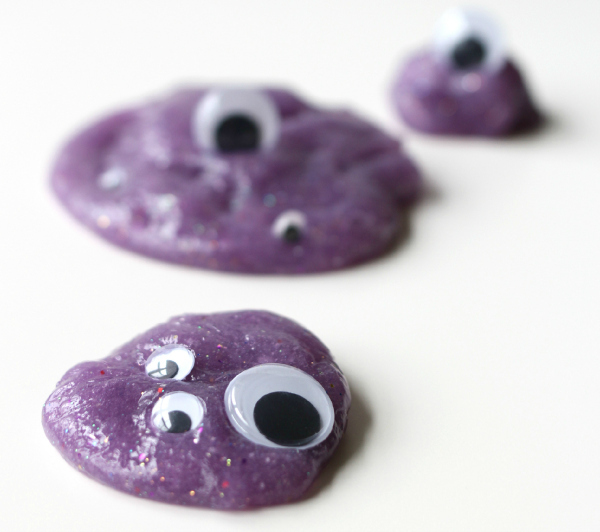 It’s the magic of googly eyes, once they are on the slime has personality, and you just have to start telling a story! The other thing that happens is kids start wondering how many eyes they can fit on one slime blob and before you know it everyone is counting. Amazing where play can lead no?! 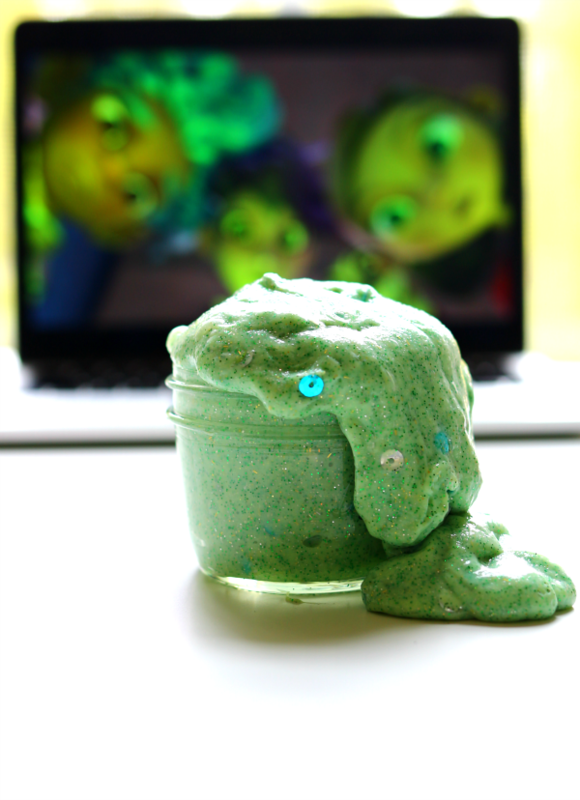 If making your own slime with glue is not for you check out Steve Spangler Super Slime – it’s glue-free, it comes in a bunch of colors, and it glows under black light! Love your stuff! Making a big mess is science, art, all of it!